If you’re visiting the historic city of Udaipur for two days, you just might have enough time to sightsee all its highest-rated attractions and enjoy a little bit of souvenir shopping. What you need is a curated itinerary that covers top sights, places to eat and certain offbeat gems. We have just the guide for you. Read on. Settle into your hotel room upon arriving. Book a stay in lakefront areas such as Lake Pichola, Fateh Sagar or old city in Chand Pole, Gangaur Ghat for convenient travelling. 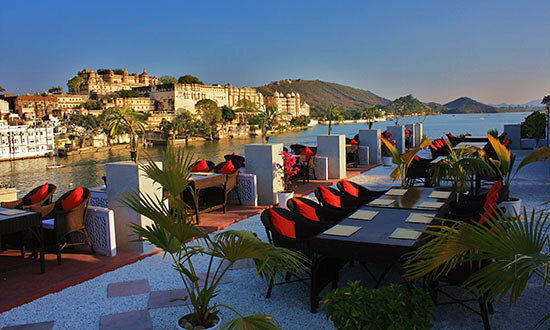 Honeymooning couples like staying at Taj Lake Palace or at one of Udaipur’s heritage hotels. A rooftop view cafe, Jheel’s Ginger Coffee Bar & Bakery is a great place to have breakfast. Order coffee, tea, sandwiches or any veg fare at a reasonable price. Paneer Tikka Sandwich is famous at the cafe. It’s a veg-only cafe. At a walking distance from the cafe, let Jagdish Temple be your first stop. A huge Indo-Aryan style temple, the peaceful morning vibe enhanced by breathtaking wall and pillar carvings will get your spirits high. Numerous ornate shrines, ceiling art and the garuda statue are temple highlights. Photography inside the temple is not allowed. You’ll need to spend at least two hours here to fully enjoy the beauty of the palace and the museum displays. Head to the artisan village of Shilpgram which displays the tribal lifestyles of the natives of Western India, inside authentic huts. 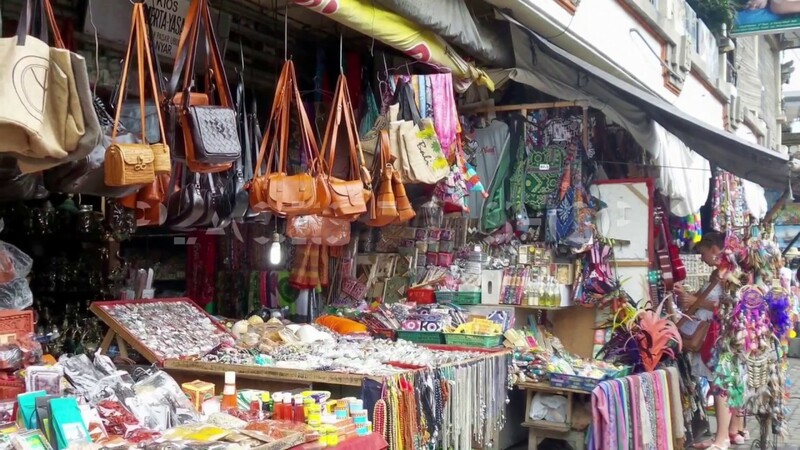 There are many handicraft items here that will stir the shopper in you. The rural art and craft complex is a must visit for a traditional village experience, camel ride and souvenir shopping. Your trip to Udaipur would be incomplete if you didn’t indulge in mouth-watering Rajasthani cuisine. 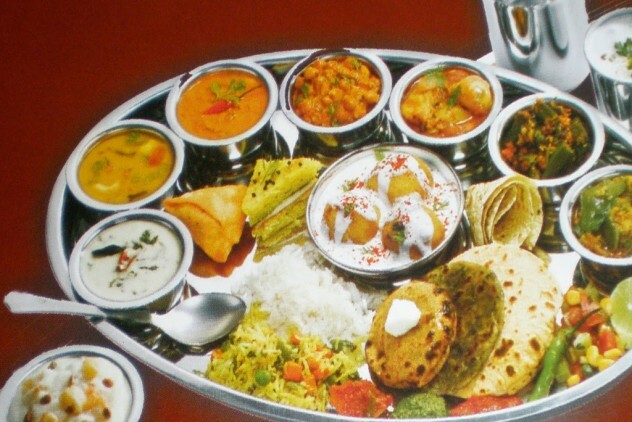 Traditional Khana has a palace like ambience and serves the most delicious and complete Rajasthani Thali to die for. The siren song of Hathi Pole is irresistible to a shopper. The best bazaar in Udaipur for street shopping has colourful shops lined up, selling juttis, kurtis, bandhani, handicrafts, spices, souvenirs, tribal jewellery, sarees, fabrics, and outstanding traditional wear. Shop at day time for best bargains and to avoid the evening rush. A ten minute walk from the restaurant will take you to the most amazing cultural experience in Rajasthan. Bharatiya Lok Kala Mandal Museum displays masks, pots, paintings and wall art. But at 6 pm the real treat begins in its halls- the most enjoyable puppet show you’ve ever seen. A true Rajasthani cultural gem. Starting at 7 pm, witness the captivating folk dance performance in the authentic ambience of a historic haveli. Sitting atop comfortable gaddas, balconies and across haveli steps, visitors are mesmerised for an hour by an evening of folk dance histrionics by artists in colourful attires. Do not miss this magical experience. 9. Dinner at Upre by 1559 A.D.
After a day of hectic sightseeing and shopping, unwind at a swanky yet traditional, rooftop lake view restaurant with a bar. Upre serves delectable north Indian, Rajasthani and mughlai dishes to quench your meat cravings along with hard liquor and cocktails. The night view at the roof includes shimmering lake waters and a skyline of heritage ghats. We recommend you have an early breakfast at your hotel or a local cafe nearby for day as you would be heading on a short road trip to historic Udaipur temples located on the outskirts of the city about half an hour away from the city centre. The trip back and forth including the time to explore the temples would be around 3 hours. But these are essential sights not to be missed while in Udaipur. Eklingji Temple is an ancient temple dedicated to Mewar’s ruling deity, and Sahasra Bahu Temple is renowned for its exquisite carvings, pillars and architecture. Royal cenotaphs of Mewar are displayed at the archeological Ahar Museum, a sight to explore to understand Rajasthan’s history. The museum has a rare collection of old pottery and sculptures, and many excavated items from the ancient Indian era are also on display, such as trenches, fireplaces, stone and copper, iron artifacts. Around 5 kms away from Ahar Museum, have lunch at Udaipur’s most famous eatery. At Natraj Dining Hall, eat the most authentic Rajasthani and Gujarati dishes like dal bati, khandvi, full-fledged unlimited thali laden with mouth-watering traditional food and dessert. Lunch time is till 3.30 pm. The famous monsoon palace of an erstwhile king, Sajjangarh Palace is a must visit for its spectacular panoramic views of Udaipur and hilltop locale. The white palace has magnificent architecture with big rooms, courtyards, gardens and terraces. If you prefer, you can stroll around and catch the best sunset in Udaipur from the palace premises or you can head to a different destination to enjoy the sunset (coming right up). Take a boat ride on Lake Pichola to enjoy the sunset while watching the illuminated palaces and buildings surrounding the lakes. You can opt for a public boat ride for about 30 minutes or longer if it stops at Jag Mandir Palace. Otherwise for Rs. 4000, hire a private boat where it’s just you and your golden solitude with only the lake views to give you company. For splendid views of Udaipur attractions at night, including Fateh Sagar Lake, Pichola, City Palace and Aravalli mountains take a ropeway to Karni Mata Temple. You will not be disappointed. Visit after the sunset boat ride so you can enjoy even more luminescent night views during the ropeway ride. Rides close at 9 pm. A boutique restaurant overlooking the lake, Raas Leela is the perfect way to relax at the end of a tiring day. 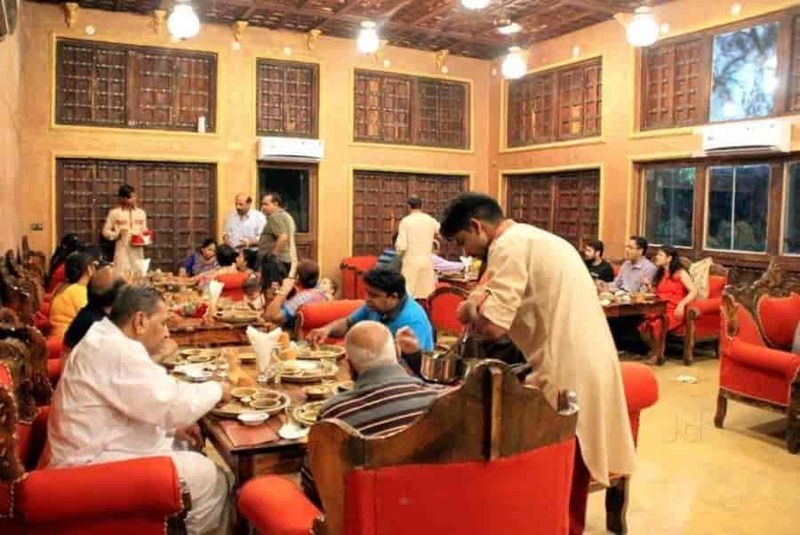 The restaurant has cozy, romantic ambience and a wide range of cuisines including North Indian, Chinese, Continental and Rajasthani, but it does not have a bar. Outdoor seating is available. Your perfect itinerary for a trip to Udaipur is fully armed to surprise you with multiple spectacles, a generous dose of history and an unforgettable trip to a dream city. Drop comments and questions below.